Because of their unique design, ClassOne’s Solstice® electroplating systems can allow additional processes — such as Metal Lift Off, Resist Strip and UBM Etch — to be integrated into a single tool. This proprietary capability, known as Plating-Plus™, can optimize the utilization of Solstice plating equipment and give substantial net cost savings as well as significant process enhancements. Many users, especially those with low to moderate production levels, can gain significant advantages from incorporating multiple processes into the plating tool. Solstice with Plating-Plus can eliminate the need to purchase additional downstream equipment — thus eliminating the costs of adding floor space, operators, training, spare parts, etc. Users can maximize the use of a single tool and streamline their process flow. They can gain the benefits of single-wafer processing with reduced queue times and less excess capacity. The net result is a more efficient solution with better capacity matching and lower overall costs. The new Plating-Plus capabilities is making Solstice a highly productive tool for advanced packaging, MEMS, LEDs and many other emerging technologies. This cost-efficient multi-processing system is well suited to a range of needs, from patterned plating to RDL, from flip-chip/bump/wafer level packaging to applications that require through-resist plating, resist removal and etching of seed layers. Plating-Plus is made possible because of the flexibility ClassOne designed into Solstice right from the start. The Solstice S8 provides eight modular chamber positions that can be used for different processes — all within one standard, highly reliable platform. ClassOne has introduced several new modular Plating-Plus processing chambers, and additional chambers to cover additional processes are slated to follow. Pricing for each of these chambers is designed to be significantly less than the costs of adding a new stand-alone tool. These high-performance, high-efficiency chambers can be installed on Solstice plating tools at the time of system purchase. Users can get the special functionality they want simply by ordering their new Solstice with the desired configuration of chambers. ClassOne's High-Pressure Metal Lift-Off (MLO) chamber is designed for high-efficiency metal removal without the problem of redeposition. A successful MLO process is dependent upon individual device structures and geometries. Chemical action alone is not always enough for complex or demanding MLO processes. 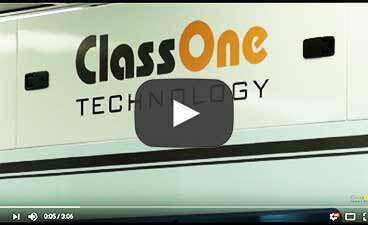 ClassOne’s versatile high-pressure delivery system addresses the process needs for the most extreme MLO requirements. This high-pressure spray penetrates even the smallest geometries for fast, effective chemical-mechanical action, allowing full photoresist removal, lifting and moving all metal residues off the wafer to waste or filtration. Spray pressure, wafer-to-nozzle distance and RPM can all be precisely specified through our advanced hardware and software technology, and can be as aggressive as needed to achieve a successful MLO process. ClassOne’s Resist Strip chamber is an advanced spray module that handles solvents safely and can run a single stripping process across a range of different resists. Photoresist is an integral element in the plating of features such as bumps, pillars, RDL, and TSV openings as it allows the user to specify which areas are to be plated. However, since photoresist may cover many parts of a wafer, efficient removal of resist is necessary before post-plating processes can be done. Also, using resist strip and volatile solvents requires an equipment design that ensures safety, efficiency, and functionality. ClassOne's Resist Strip Chamber utilizes a stainless steel chamber and chemical guard with a fire-suppression system plumbed into the Solstice. Multiple heated tanks allow for reclaim and reuse of solvent chemistries, thus minimizing waste and maximizing tool productivity. The proprietary chamber design reduces the need for the ongoing maintenance of adding fresh chemistry while also removing sacrificial resist within minutes or less. The Plating-Plus UBM (Under-Bump-Metallization) Etch chamber incorporates an intelligent end-point detection technology that controls etching precisely and consistently to avoid undercut. Under Bump Metallization is a process of adding an electrically low-resistance and resilient barrier to diffusion of surrounding metals into features for wafers that utilize such systems as flip-chips and TSVs in 3D packaging. UBM etch is a post-plating requirement that removes unwanted metallization from the wafer. The process must have high selectivity to certain materials and must avoid undercut of UBM at the feature interface. This special ClassOne chamber utilizes an optical end-point detector to identify a change in reflected wavelengths corresponding to the final removal of a UBM layer. This system is superior and more precise compared to a time-based recipe, as it allows the customer freedom to change wafer masks and UBM thickness “on-the-fly” without having to reevaluate process conditions.